On this episode of Autographs, Matt chats with the incomparable drag and burlesque badass, Hazel Tart. 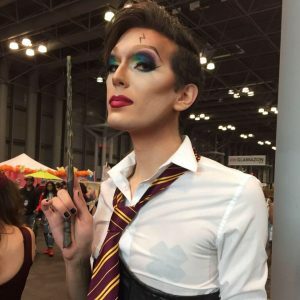 Hazel talks with Matt about how she got her start in the drag scene, her discovery of burlesque, her love of a variety of nerdy pursuits, as well as what goes into building a performance. They also discuss the great lengths to which Hazel goes in order to craft unique narratives in those performances. Finally, Matt and Hazel dive into Hazel’s hiatus from performing — and why she felt she need to take a step back. Today Matt is joined by Ruben Romero, a writer at and founding member of the production company Think Alike Productions, a company that will appear at the 2015 New York Comic Con. Ruben was pointed in the direction of Autographs by previous guest Bob Salley (Ep. #27), who is also a member of Think Alike Productions. 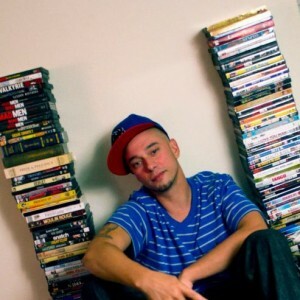 Touching upon Ruben’s role in the creation of Think Alike, Matt also pries into his creative origins as a writer, his past pursuits as a rapper, and some background on the two comics he is currently writing: The Agency & Prey for Angels. They also have a nice long tangent on the influence of Star Wars and their mutual excitement for The Force Awakens. Enjoy! This week, Matt welcomes Bob Salley, a writer from Boston, MA. 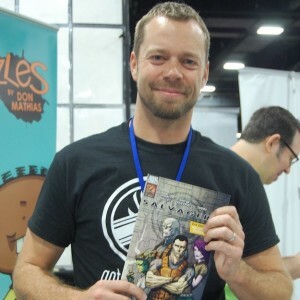 Bob’s latest projects include the comic book, Salvagers, of which 3 issues are currently available (with the 4th on the way), and the weekly web comic, Jasper’s Starlight Tavern. You’ll hear Matt and Bob chat about the Salvagers universe and its unique set of characters, his inspiration for creating Jasper’s Starlight Tavern, his love of sci-fi, and the influence of music on the aesthetic of the Salvagers series. Also hear about his “Indiegogo” campaign — a crowdfunding site spurred by a desire to give back to the fans. And finally, stick around for some helpful advice on time management, and how to conjure up focus for the projects you’re most passionate about. Nearing our 3-yr. anniversary, the inkwell is far from dry — especially in the presence of cartoonists Ed Reynolds (of Fermented Zen) and Chuck Collins (of Bounce)! Shuffling up the format this week, we kick off the episode with an interview to explore the Zen/Bounce style and philosophy, and then (from 0:30:00 on) we dive straight into Ed & Chuck’s album of choice. 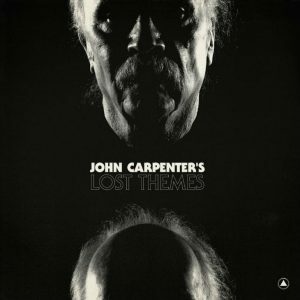 Director John Carpenter, known for scoring most of his early films, has never released a studio album… that is, not until Lost Themes! Steeped in hazy imagery, Lost Themes is a fanciful excursion through your mind’s own creations. Join us for this in-depth analysis! Then, starting at 1:45:38, we begin a round table discussion on the use of music in cartoons. Ever since the golden age of American animation, have cartoons been less musical?